[L]Earn-a-Bike | Boston Square Community Bikes | a free, do-it-yourself bicycle shop. 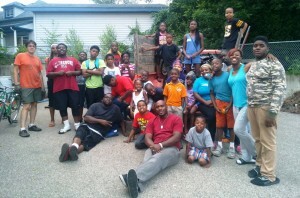 –A Christmas newsletter from Oakdale Neighbors. 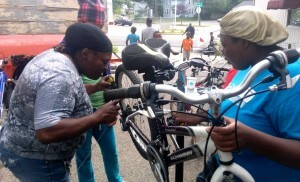 Learn about [L]Earn-a-Bike in photos and how tax volunteers help neighbors. 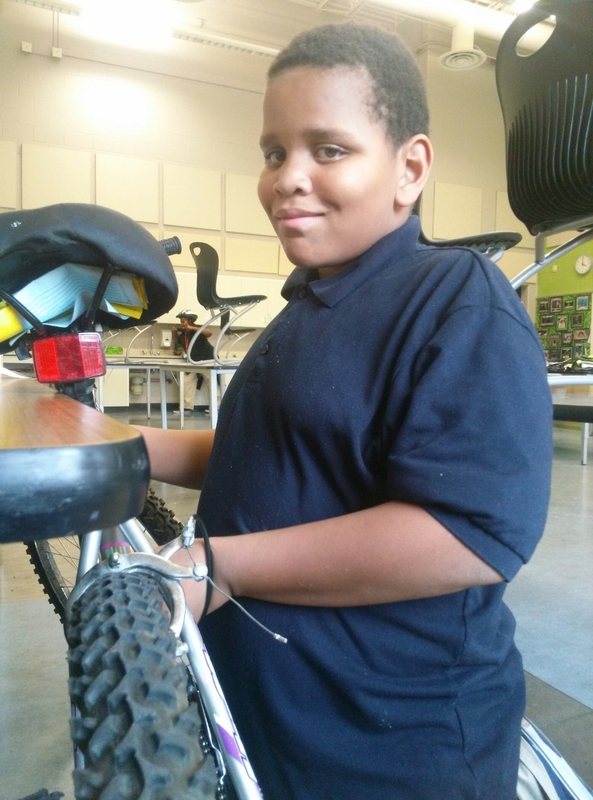 Marvin has almost completed his bike and is ready to graduate from [L]Earn-a-Bike class. We are so excited about working with the students at Alger Middle School. Today is our first class of this school year and we’re very much looking forward to meeting the students. We have already spent some time and passed out fliers. There has already been a great response. A few hours of hard work and the bike will be theirs. 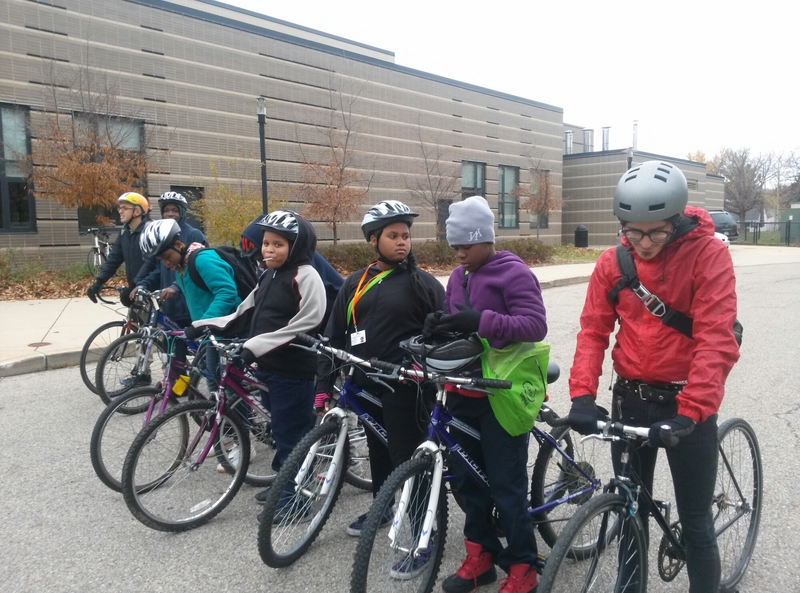 We are so glad that this [L]Earn-a-Bike session is going so well. Today we covered all things “bearings”. Gripping stuff I know, but important nonetheless. 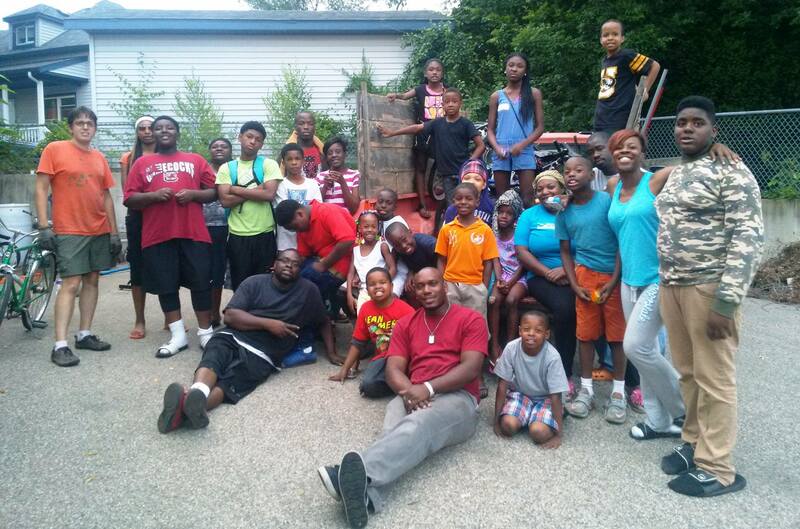 Thanks for everyone who attended. We are looking forward to working with you and building excellent bikes. Joe and Niamatullah are working together on the bike that Niamatullah is earning in [L]Earn-a-Bike class. 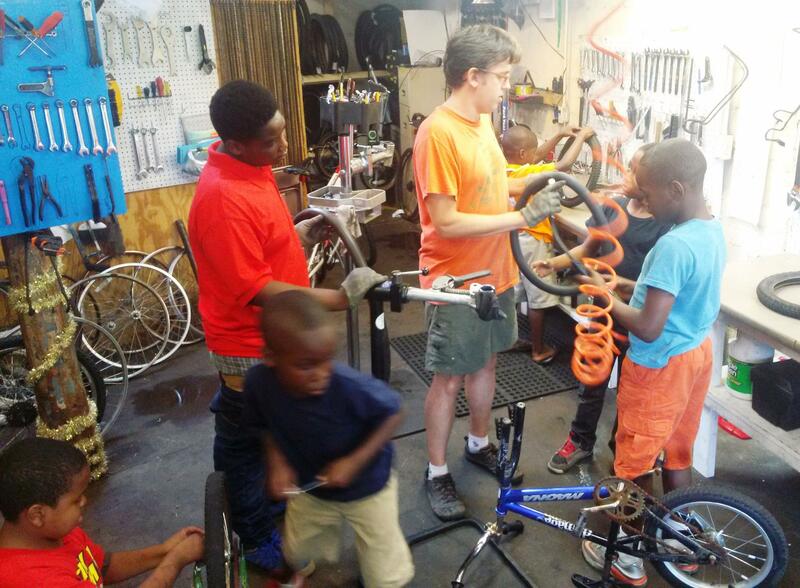 [L]Earn-a-Bike is a free class where you learn about bikes and bike repair. You earn a free bike as you learn. 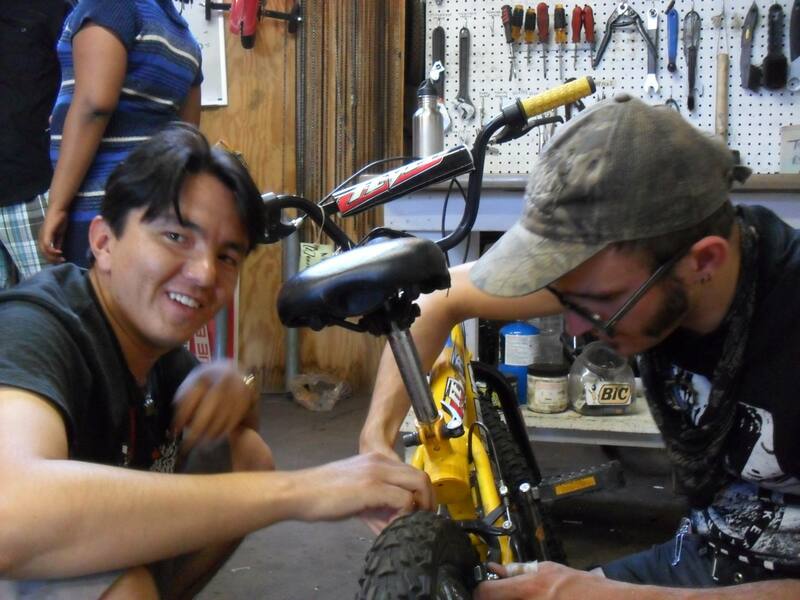 Pick out a bike and work on it during class. 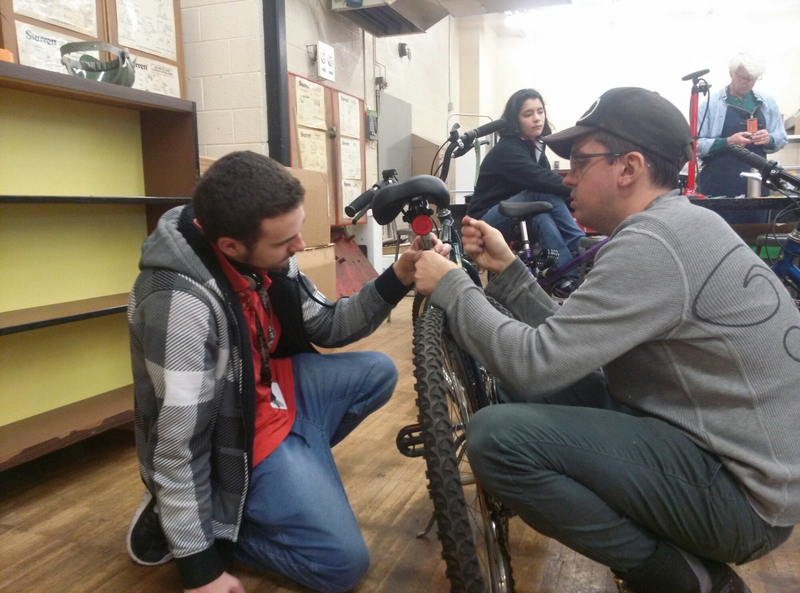 After five classes and four volunteer hours, receive your free bike with a free helmet, light, and lock. Applicants are selected based on interest, commitment, punctuality, contribution and need. 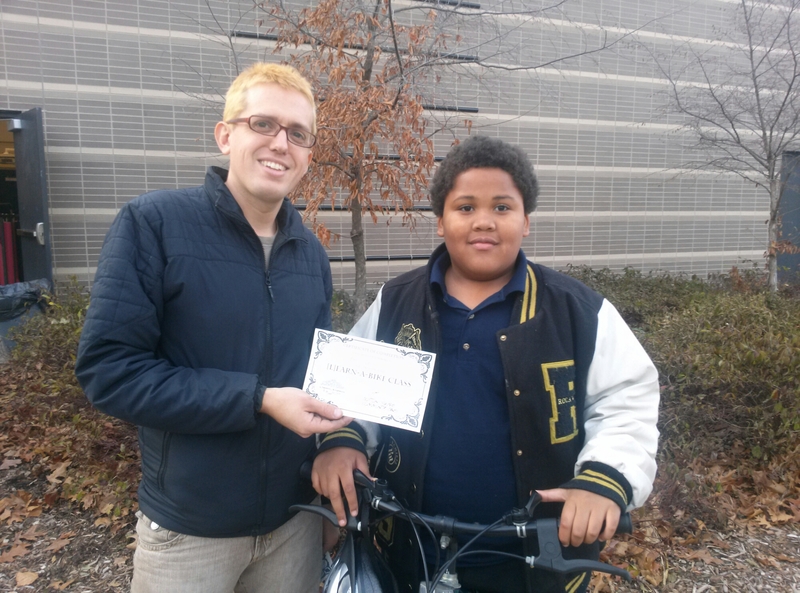 [L]Earn-a-Bike is for anyone ages 18 and above. [L]Earn-a-Bike is free but donations are gratefully accepted. 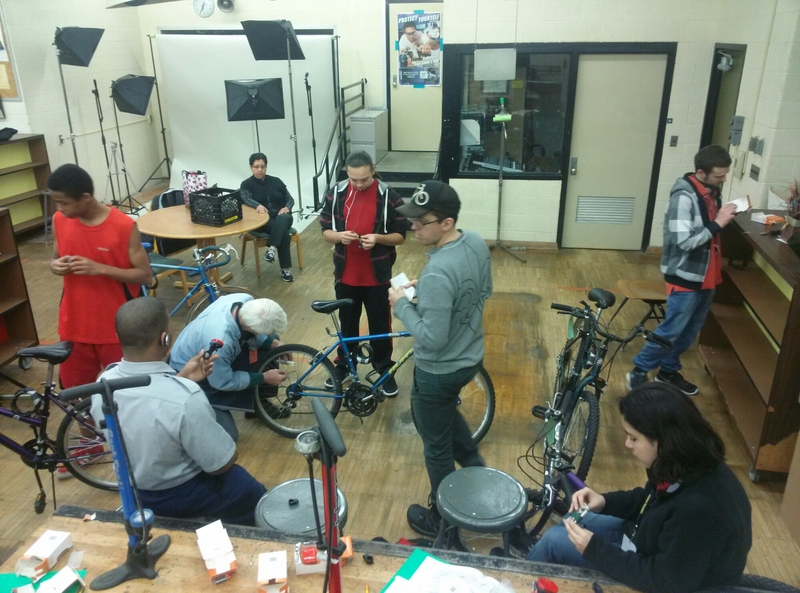 [L]Earn-a-Bike starts with orientation on Tuesday, September 30, 2014 at 6 PM at Boston Square Community Bikes. Call 248.2848 to register.